Last summer I became obsessed with Ina Garten's Panzanella Salad. It was an easy side dish or light lunch that could be thrown together easily. 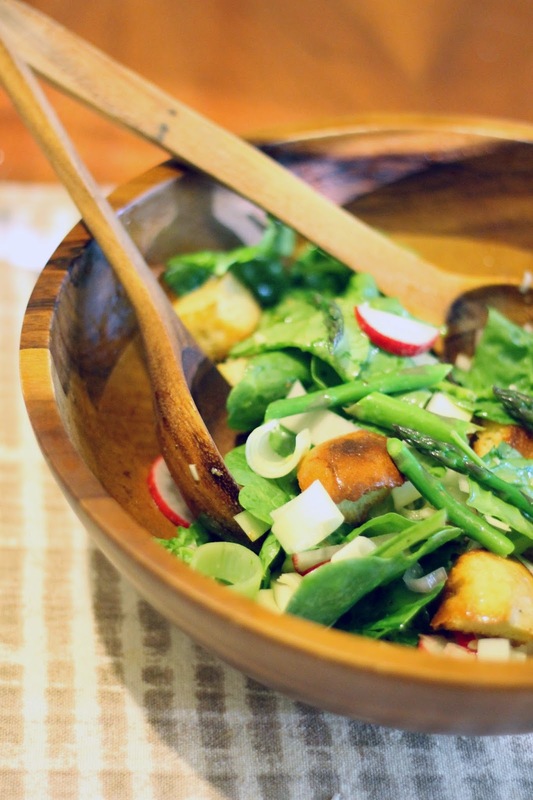 Last week, I found myself craving this salad, but sadly summer fruits and vegetables are not in season here. So, I whipped together a spring version and it satisfied my craving. 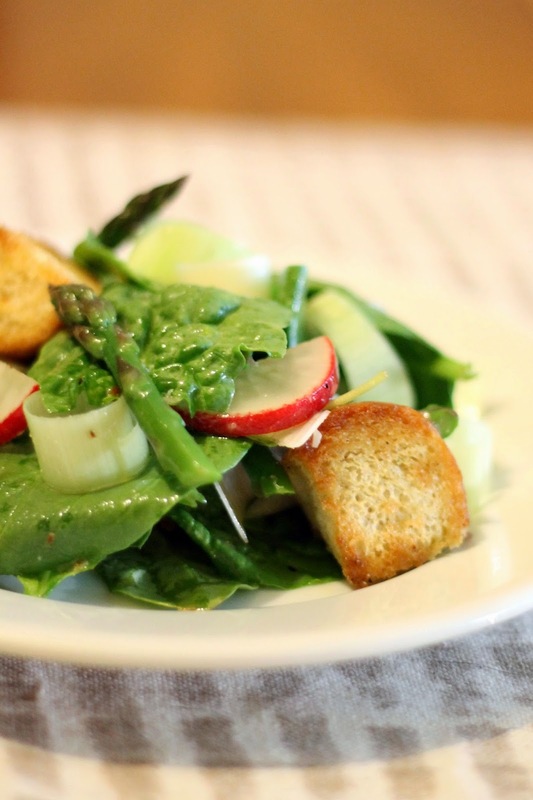 The crisp asparagus, radishes, and leeks pair perfectly with the tender spinach and crunchy croutons. 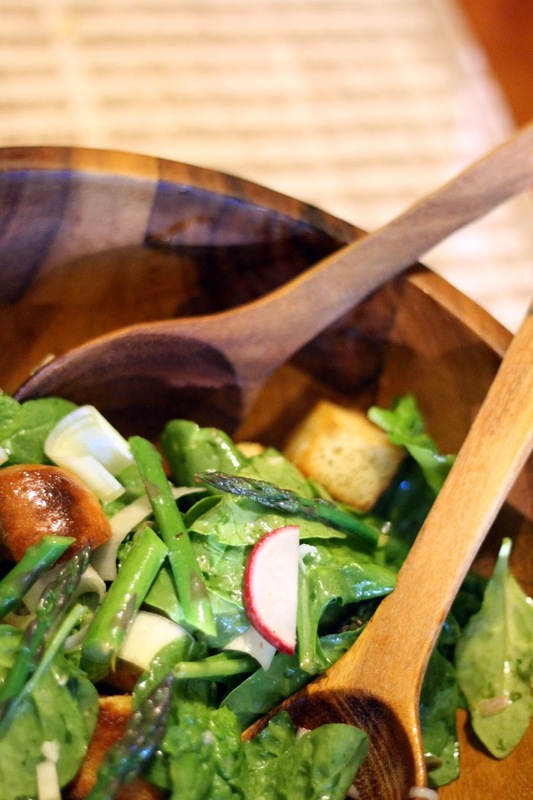 Try this salad for your next backyard bbq. I promise you won't be disappointed. Preheat oven to 425 degrees. 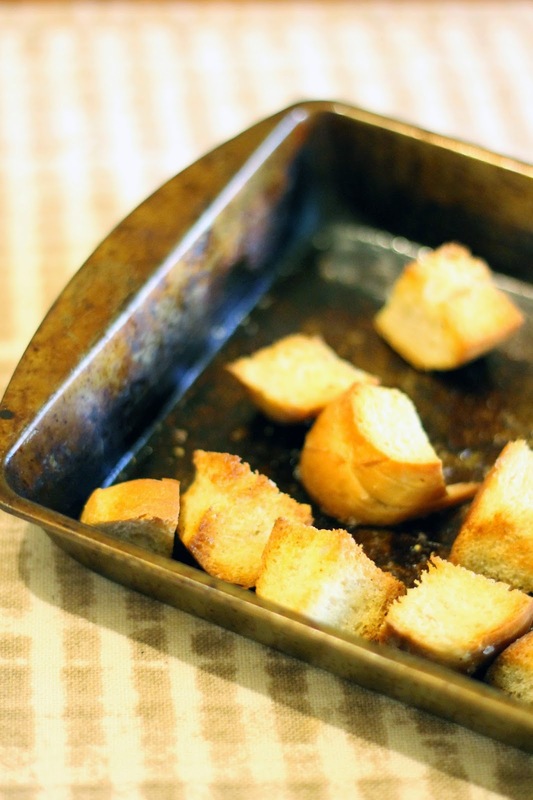 Toss cubed ciabatta with a little olive oil, salt, and pepper in a roasting pan. Bake for 10 minutes, flipping once until golden brown. Set aside to cool. Fill a small saucepan with water and bring to a boil. 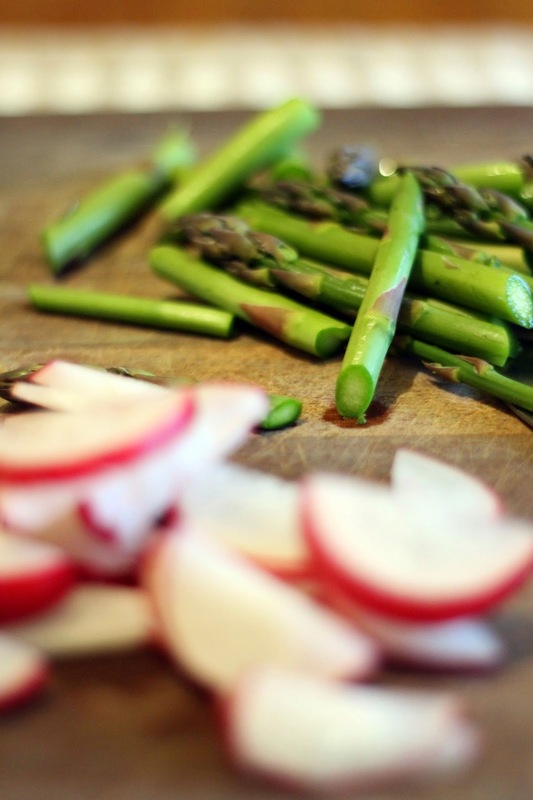 Cut asparagus into 1 inch pieces. Blanch for about 1 minute until bright green. Immediately place in an ice bath and allow to cool. 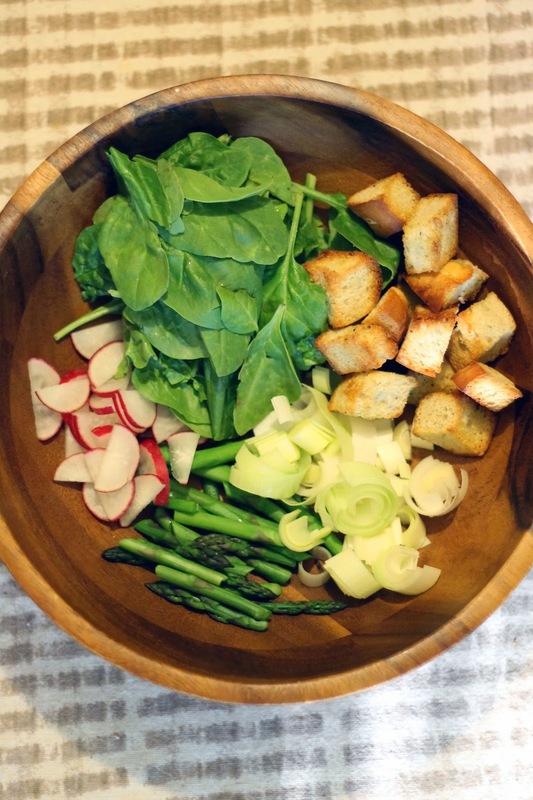 Toss asparagus, radishes, leeks, and baby spinach in a large salad bowl. In a small mixing bowl, whisk together white wine vinegar, lemon juice, garlic, dijon mustard, and a little salt and pepper. Slowly whisk in olive oil until combined. Drizzle over salad into moistened. Add croutons. Server immediately.